A quick little overview of the ship Deimos and Williamca are serving on-board. 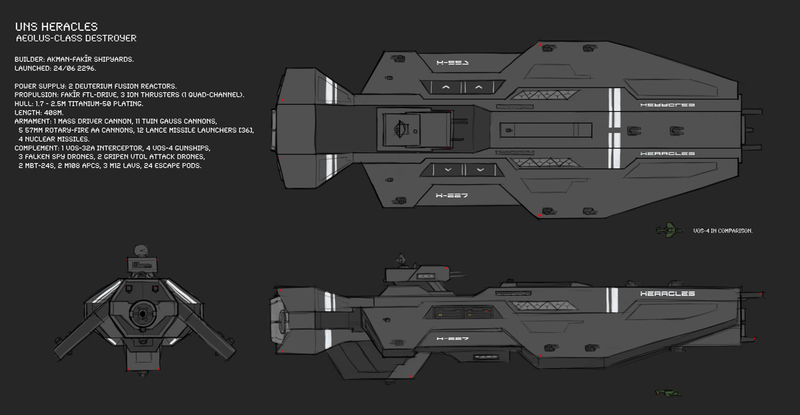 Inspiration was mostly taken from Homeworld and UNSC ships. The main gun - a railgun - fires a 533 ton slug the size of a larger car at 112,000 meters per second when fully charged. The Vos-4 Gunship is slightly larger than a Mi-35 Hind.